Protein shakes are a great way to make sure you are getting enough protein in your diet, the problem is sometimes they can taste… blah. 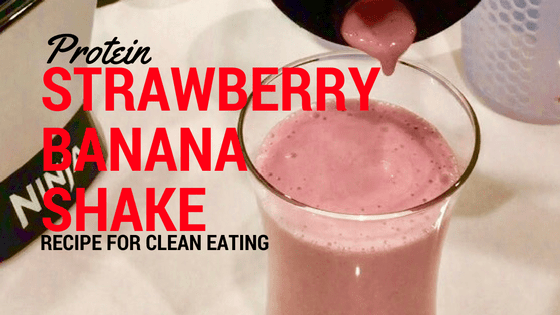 But this delicious strawberry banana protein shake recipe will make you want it over & over. Oh, and it’s only 4-5 ingredients and takes two minutes to make! To make the process even faster, I recommend keeping your fruits already chopped in a sandwich bag in the freezer. That way when it’s time to make your smoothie all you have to do is open the freezer and toss your ingredients in the blender. First things first, if you want a great tasting protein shake then you need a delicious protein powder. You want one that doesn’t leave a chalky after taste and doesn’t make you want to vomit- and that can be harder to find than you’d imagine. The absolute best tasting one I have found is this Perfect Keto Collagen Protein Powder (yes, even if you’re not on keto). It has a ton of added benefits that you wont find in a regular protein powder because of the added collagen and MCT powder (hello beautiful hair, skin and nails!). ==> Get 10% off of your collagen protein powder by using the code EASYLIVINGTODAY at checkout! If you’re going to be making a lot of smoothies & shakes, it’s worth it to invest in a great blender. 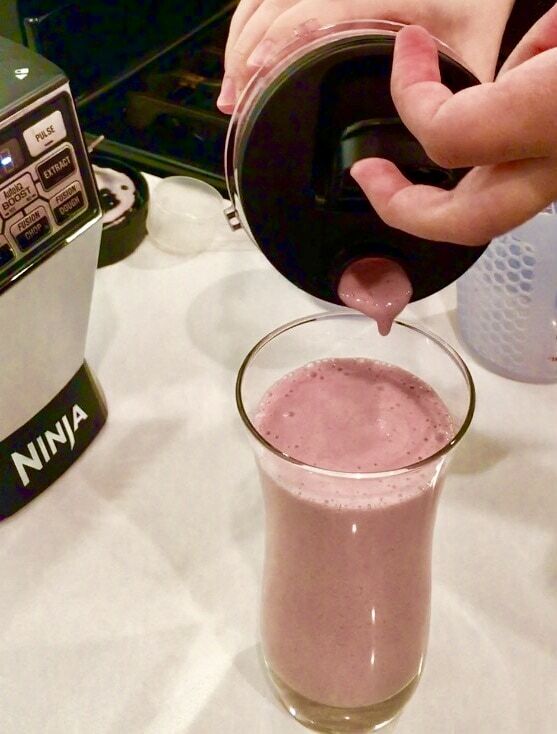 I, personally, drink a smoothie every day, sometimes twice a day- so I use the Nutri Ninja Duo. 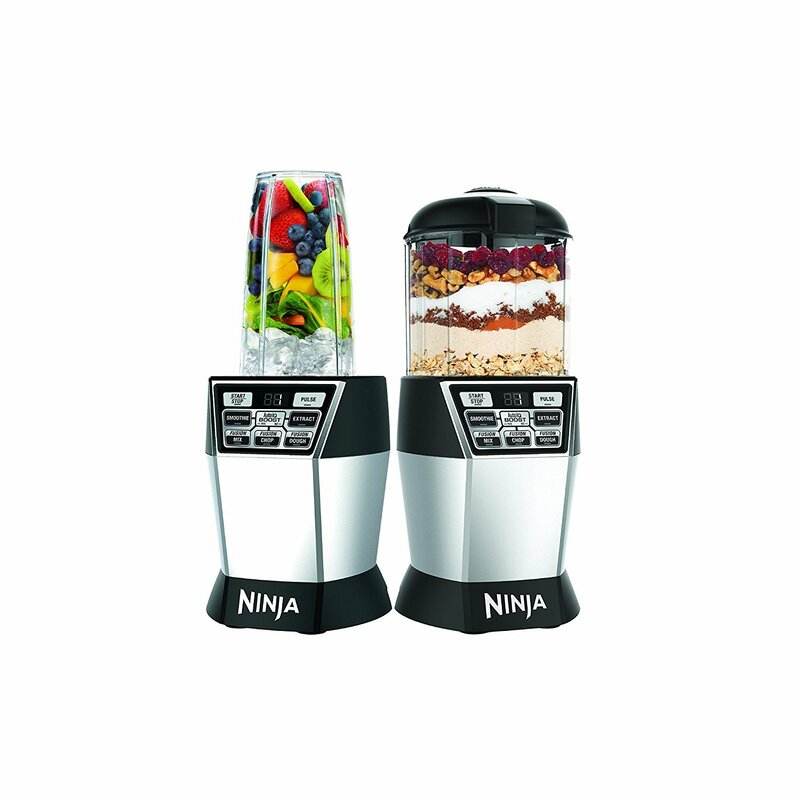 I like the duo because it has a Nutri Ninja AND a food processor, so it can also chop your veggies for dinner and make ice cream, etc. Anyway, the Nutri Ninja comes with cups that you pop right on to the blender, blend, then drink right from the cup– so it’s less messy and way more convenient. 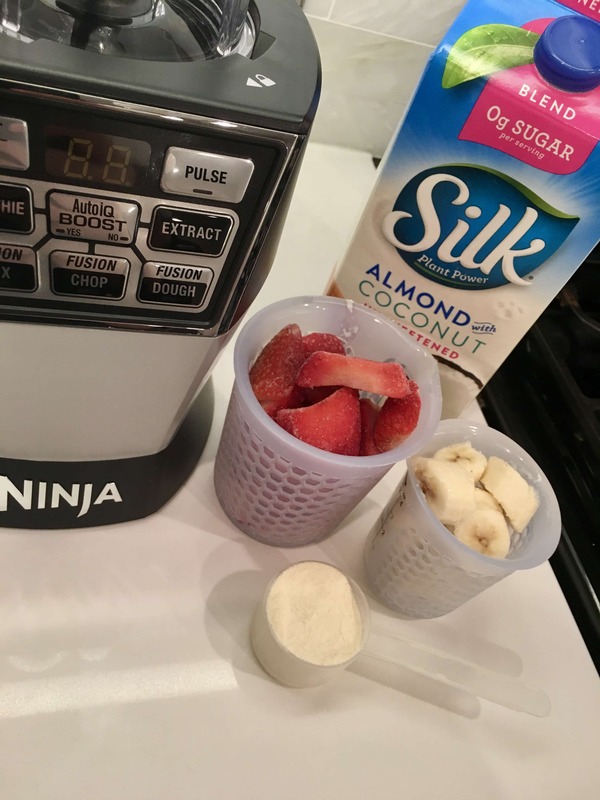 It does an amazing job of pulverizing ice and frozen fruit and can even crush whole fruits and veggies in seconds- making your drinks even more nutritious. ***You can read my full review on the blender here. 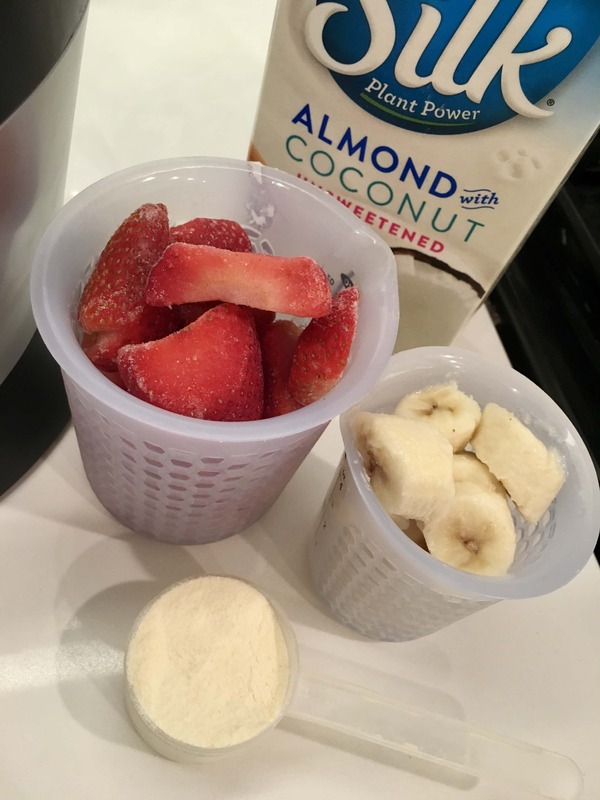 If you would like more clean eating recipes like this strawberry banana protein shake recipe, this e-book has over 40 delicious clean eating recipes along with a scheduled meal plan you can follow for 21 days! Calories and portion sizes are already calculated for you as well as nutrients. It also includes weekly grocery lists so you’ll know exactly what you need. ==> See my results with this meal plan by clicking here!